On Friday 23rd March the Year 13 sports leaders organised the Sport Relief ‘mile’ run for all year groups on both ‘T’ and ‘K’ sites. Pupils were allowed to wear their PE kit for the day and had the opportunity to ‘red up’ their uniform by paying £1 to the Sport Relief charity. The leaders also organised cake sales, Staff v 6th form tournaments in badminton and football and a ‘PE teacher in fancy dress’ competition in the lead up to the day, all to raise extra funds for the charity. Thank you to all of those that contributed – this money will go towards tackling critical issues affecting people across the UK and the world. 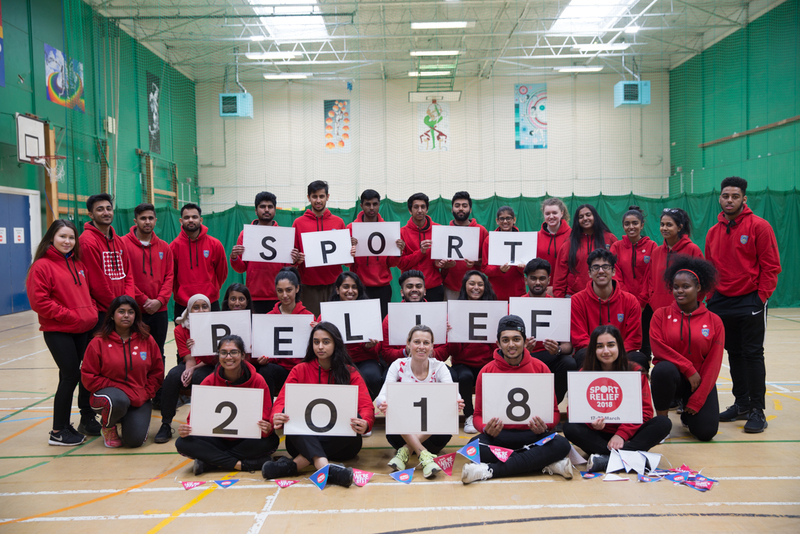 This entry was posted in Kingsbury High School and tagged red shirts, Sports Leaders, sports relief 2018 by kingsburyhighlondon. Bookmark the permalink.